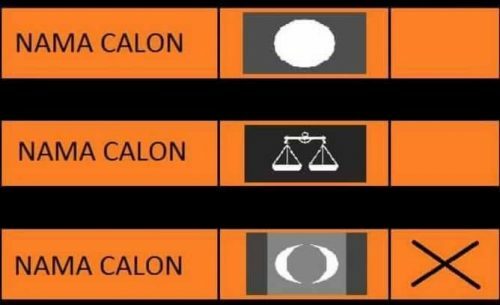 APANAMA: DAP, PKR and Pas MPs stepping down for Anwar? Padang Merbok in Kuala Lumpur is where the #Blackout505 illegal political gathering took place on Saturday afternoon. Padang Merbok is a stone’s throw away from Tugu Negara, our National Monument for fallen heroes of Malaysia. The National Monument is a sculpture that commemorates those who died in Malaysia's struggle for freedom, principally against the Japanese occupation during World War II and the Malayan Emergency, which lasted from 1948 until 1960. 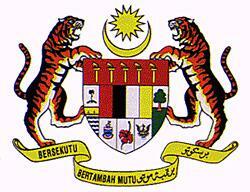 It is located in the Federal capital, Kuala Lumpur. The Malaysian Houses of Parliament is situated near the monument. The black political gathering of about 10,000 people (I think all of them were Malaysians ;-) near Tugu Negara was not in protest of the proposed development of a 'Theme Park" on a 26.3 hectare green lung adjacent/around Tugu Negara. 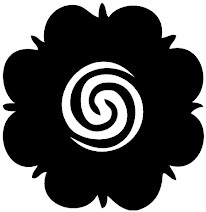 It was a simply a black political gathering to massage the ego and arrogance of some Opposition politicians and their NGO buddies. Opposition leader Anwar Ibrahim should by now know and recognise the fact that his black gathering to topple the Government of Malaysia via street demonstrations and violent disobedience does not have the support of even his fellow Pakatan bed fellows. I don't think many PKR members and supporters attended in the first place. The gathering demanding the resignation of the top Election Commission (SPR) leadership and its council members has failed. 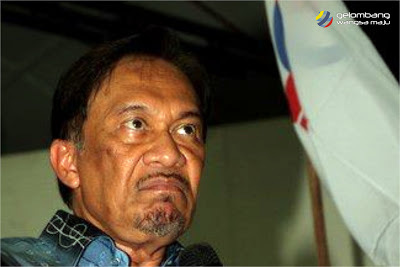 Anwar knows he has failed. He has now promised more gatherings because the gathering today was a total failure. Anwar, in one of his worst speeches I've witnessed, even tried blaming the lack of support at Padang Merbok to the prevailing haze from Indonesia. Some of those at Padang Merdeka actually started walking away when Anwar started his ego-boosting antics on the microphone. Relating his recent conversation with the President of Indonesia and how he was badmouthing his country, he tried to cajole the crowd but people were leaving. It could have been due to the enveloping haze but is Anwar not the God sent leader for Pas, DAP, PKR and all progressive NGOs put together? Well, I leave it at that. 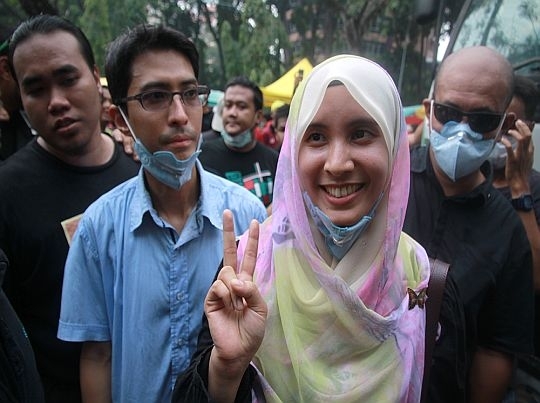 In a nutshell Nurul Izzah outshined her desperate daddy with good showmanship and intonation. The contents were spiced up political rhetoric but she did better than her visibly desperate daddy. Even rabble rouse Adam Adli spoke better than the 66-year old sacked former Deputy Prime Minister. 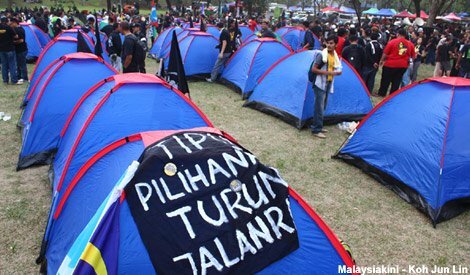 By 6pm there were a maximum of 3,000 people at Padang Merbok and all dispersed peacefully except for a group of Badrul (they guy who ran from Rembau to someplace in Penang and still lost in the last GE...) followers who started camping on the field. Anwar and gang left Padang Merbok much earlier. 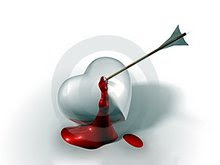 Oh ya!... 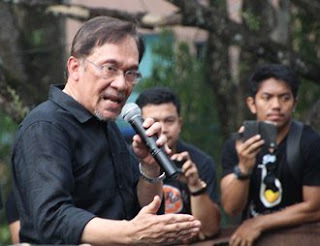 after boasting about his conversation with President Susilo Bambang, Anwar did deny that he was in Indonesia recently for a secret meeting with Prime Minister Najib who was also there on the same date. "I didn't meet Najib in Indonesia. No! No! No!," came in Sivaji the Boss style. 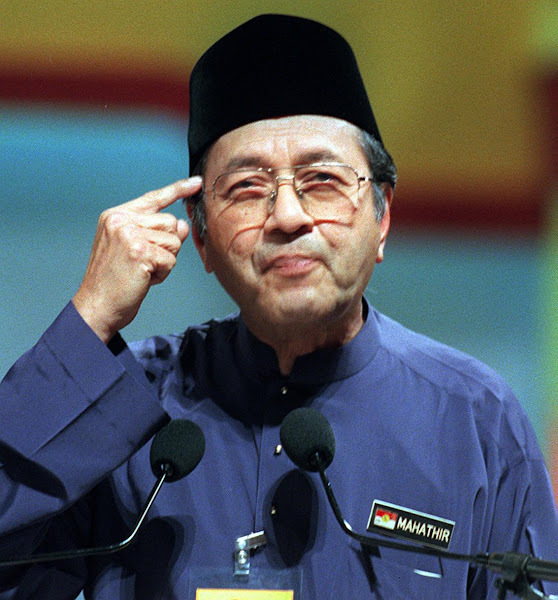 We might never know if Anwar was finally telling the truth as it is or he purposely blurted the No trice in style to fuel further speculations. But generally not many were listening to him compared to those who had their eyes glued on Nurul Izzah when she was on stage. Maybe the best Anwar could attempt now to restore his relevance is to persuade all 89 Pas, Dap and PKR representatives (including himself) to 'step down' or rather refrain from taking their oath as elected members of the Dewan Rakyat on Monday. That would be the litmus test for you at this point of time YB Anwar Ibrahim (Permatang Pauh), not flogging the almost dead horse called sympathy. Even your own people appear tired, very tired of your cry baby antics. "Relating his recent conversation with the President of Indonesia"
Blames the haze for the low turnout, can speak one-on-one with the President of Indonesia but cannot ask him to do something about the haze? Green lung being raped by capitalist development but Anwar says nothing. Oh you could heaps all the snickers you would like to DSAI and his 88 MPs but all those babbles pale to what Najib is and will be facing till October, PAU bcoz all UMNO 164,000 voters cannot wait to give him what he (and Rosmah) fully deserve - booted out of Putrajaya! Pakatan may not rule the nation but not much Mr 67% can do to redeem a slap in the Malay faces..
Hope he got over his Surprise for not getting the 2/3 Majority by now! Oh Najib will still be the PM n UMNO president for a few years for sure but I doubt Anwar will last any longer. Gng senile like my mama. Sad for my mom really dont give an @#&^ about ai getting forgetful. Hati busuk shows on the face dah londeh.